Arrived at Ellis Island on September 26, 1907 aboard the Sannio. Francesco LoDico, age 21, male, single, sailed from Palermo. He was barber by trade and able to read and write. He was Italian by nationality and Sicilian by race. His hometown was Marianopoli, Sicily. He listed his father, Ignazio LoDico in Marianopoli, Sicily as his closest relative from his origin. He had a ticket to his final destination and paid for his own passage. He arrived with $4 in his possession. Francesco had never been in America before. He referred to a cousin with the last name Raffaele in Pittsburgh, Pa. as his final destination. He was 5' 1", rosy complexion, chestnut hair, brown eyes with no scars. Master Luigi Meancini of the Sannio caused surgeon Pietro Della Grace to make a physical and oral exam of all aliens named on the manifest. The master then swore that no one was feeble-minded, an imbecile, idiot, or insane. No passenger was likely to become a pauper, or a public charge and no one was an anarchist, prostitute or immoral. Surgeon Pietro Della Grace had 5 years experience as a physician, a graduate of Turin University and practiced under the authority of the Italian Government. He swore the information contained within the manifest was correct. Arrived at Ellis Island on October 28, 1907 aboard the Roma. 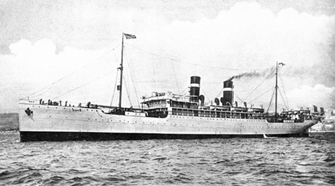 Ignazio LoDico, age 43, male, married, sailed from Naples on October 12, 1907. He was a barber by trade and able to read and write. He was Italian by nationality and Sicilian by race. His last permanent address was Marianopoli, Sicily. He listed his wife and family and sixteen others in Marianopoli as his nearest relatives still in Sicily. He had a ticket for his final destination and paid for his own passage. He arrived with $9 in his possession. Ignazio had been in America once before. He referred to a "son or cousin" Carlo in Boston, Ma., as his final destination. He was 5' 3", fair skinned, gray hair and brown eyes. he had a scar of his face. Master Courtiade of the Roma caused surgeon Vincenzo Fiassani to make a physical and oral exam of all aliens named on the manifest. The master then swore that no one was feeble-minded, an imbecile, idiot, or insane. No passenger was likely to become a pauper, or a public charge and no one was an anarchist, prostitute or immoral. Surgeon Vincenzo Fiassani had 15 years experience as a physician, a graduate of the University of Naples and practiced under the authority of the Italian Government. He swore the information contained within the manifest was correct. Arrived at Ellis Island on February 28, 1910 aboard the S.S. Madonna. Salvatrice, age 20, female , single, Angela, age 17, female, single, and Prospero, age 10, male, single sailed from Palermo, Sicily on February 10, 1910. Both Salvatrice and Angela indicated they could read and write. They listed their nationality as Italian and their race as Sicilian. They listed their place of birth as Marianopoli, Sicily and their nearest relative there as Francesca Paola (Restivo) LoDico, their mother. They did not have a ticket for their final destination but paid for their own passage. None had been to America before. There was no record of their physical description. Their final destination was Mansfield, Ma. Commanding Officer Bene DeChelli of the S.S. Madonna caused surgeon Vincenzo Firiani to make a physical and oral exam of all aliens named on the manifest. The commander then swore that no one was feeble-minded, an imbecile, idiot, or insane. No passenger was likely to become a pauper, or a public charge and no one was an anarchist, prostitute or immoral. Surgeon Vincenzo Firiani had 20 years experience as a physician, a graduate of the University of Naples and practiced under the authority of the Italian Government. He swore the information contained within the manifest was correct. Arrived at Ellis Island on March 21, 1910 aboard the S.S. Luisiana. Carmelo LoDico, age 15, male. 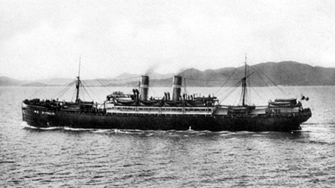 single sailed from Palermo, Sicily on March 5, 1910. He was a barber by trade and able to read and write. He was Italian by nationality and Sicilian by race. Carmelo listed his place of birth as Marianopoli, in Caltanissetta province, Sicily. He listed no relatives in Sicily. He had a ticket for his final destination and paid for his own passage. He arrived with $15 in his possession. Carmelo had never been to America before. He referenced his father Ignazio LoDico, Box 232, Mansfield, Ma., as his final destination. Carmelo was 4'10", pink complexion, chestnut hair and eyes and had marks on his face. Master Angelo Rusfina of the S.S. Luisiana caused surgeon Giuseppi Favale to make a physical and oral exam of all aliens named on the manifest. The master then swore that no one was feeble-minded, an imbecile, idiot, or insane. No passenger was likely to become a pauper, or a public charge and no one was an anarchist, prostitute or immoral. Surgeon Giuseppi Favale had 7 years experience as a physician, and practiced under the authority of the Italian Government. He swore the information contained within the manifest was correct. 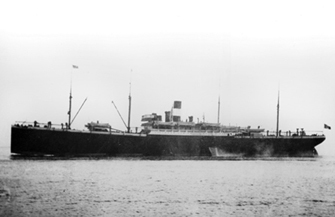 Arrived at Ellis Island on January 20, 1911 aboard the S.S. Regina d'Italia. 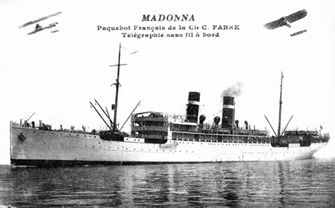 Francesca, age 41, female, married, Maria, age 9, female, Giovanna, age 7, female, and Vincenzo, age 3 sailed from Palermo, Sicily on January 7, 1911. They all were listed as Italian by nationality and Sicilian by race. Francesca listed her birthplace as Villalba, Sicily and her closest relative in Marianopoli, Sicily as her father Carmelo Restivo and her mother Angela Restagno. The children's birthplace was listed as Marianopoli, Sicily. They did not have a ticket for their final destination but paid for their own passage. Francesca had $70 in her possession. None had been to America before. Francesca listed her husband, Ignazio LoDico, Box 232, Mansfield, Ma., as her final destination. There was a side note written that Maria, Giovanna, and Vincenzo were admitted to the hospital then later discharged. Francesca was 5' 3", with a rosy complexion, gray hair and chestnut eyes. Maria and Vincenzo were listed with marks and a doctor's note of eye problems. Master Cignoni Fulvio of the Regina d'Italia caused surgeon Afredo Marchetti to make a physical and oral exam of all aliens named on the manifest. He listed a total of 76 aliens and 7 US citizens for a total of 83 passengers. The master then swore that no one was feeble-minded, an imbecile, idiot, or insane. No passenger was likely to become a pauper, or a public charge and no one was an anarchist, prostitute or immoral. Surgeon Alfredo Marchetti practiced under the authority of the Italian Government. He swore the information contained within the manifest was correct.